Today I want to be obnoxious and snobby. So I labeled these patties as “the best”. To be honest, I always think it’s very pretentious to name a recipe “the best” of anything. Best means “of the most excellent or desirable type or quality”; so who can actually claim that something they’ve made is the best? Unless you’re Daniel Boulud or Ferran Adrià, then you probably can. Running a bunch of Michelin starred restaurant grants some of sort of authority in that department. But for the rest of us - commoner cooks - it’s better to take a more understated approach. Something can be good, amazing, awesome, mouthwatering, but the best? That’s too much. However, sometimes you make something and you just knock it outta of the park. Just like that. This situation here is sort of the best eggplant patties I’ve ever had . Like, ever. So here we are with this super pretentious recipe title. Sorry folks. Since we have already settle that they’re the best, let’s just get right to it, okay? No need to brag. Eggplant, onion, garlic, cheese, almond meal and some herbs. The patties hold together perfectly, trust me. This means that if you are vegan (or have a vegan friend) you can sub the Dubliner cheese with vegan cheese. And voila’, “The Best Eggplant Patties” become “The Best Vegan Eggplant Patties”. I know, I’m pretty bratty today. 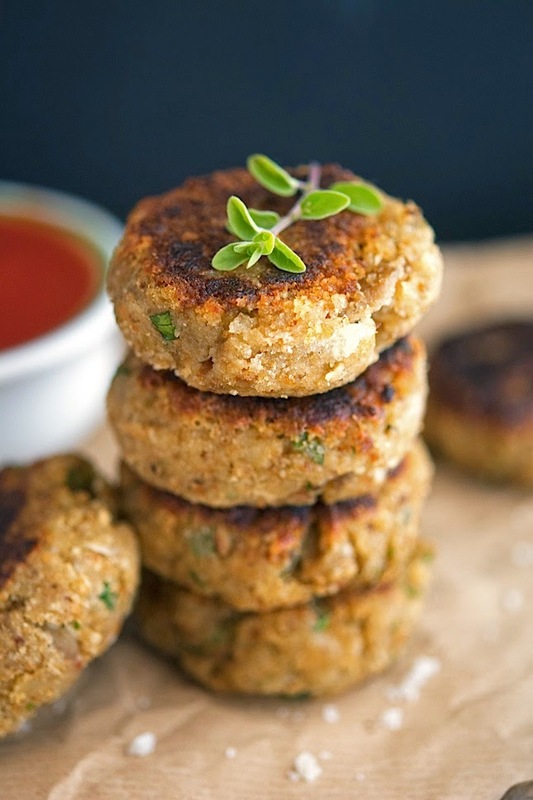 The Best Eggplant Patties Print this recipe! 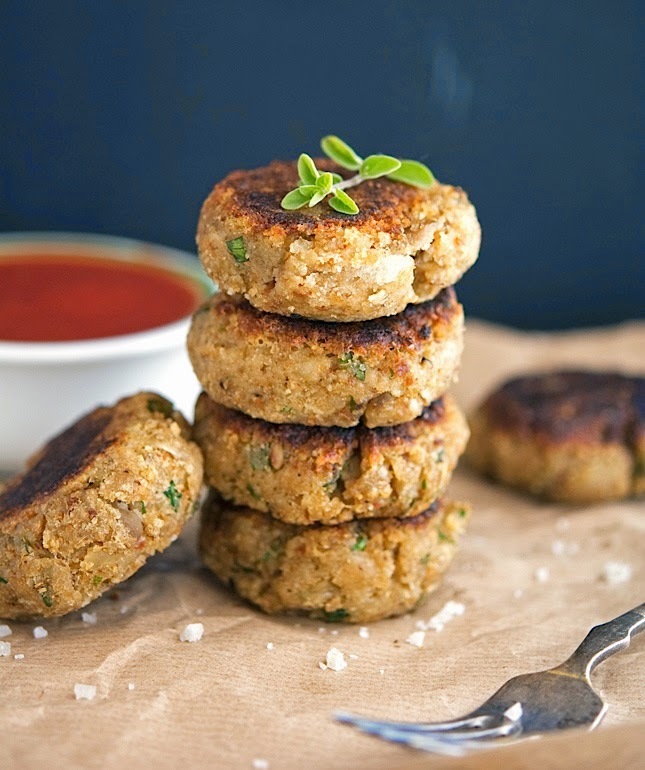 Add breadcrumbs (or GF breadcrumbs or almond meal) ¼ cup at a time and mix with your hands until it reaches a firm consistency and will hold up as patties (you might need to use more or less almond meal). One patty yields 175 calories, 14 grams of fat, 6 grams of carbs and 7 grams of protein. 1 - I am a sucker for anything labeled "Best"
2 - it has eggplant in it so I need this in my belly soon. Pinning this!! I love eggplant! These are right up my alley. Hi Mike, wow... I like your "inferno tower" patties. It really awesome. Hahaha Amelia, "Inferno tower" cracked me up! What about labeling a recipe as "Nice"? How awful would that be? So yes, "Best" is deffo better! It's not bragging when it's the best! 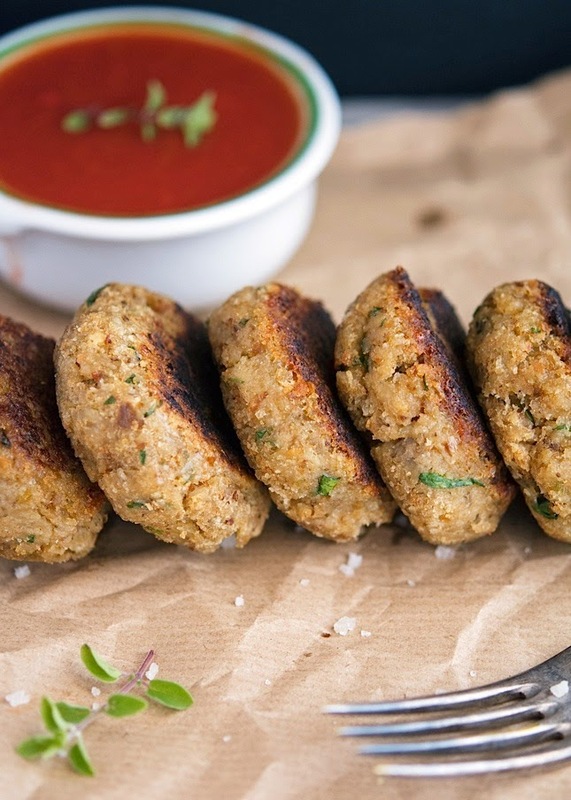 Ever since I started eating mostly paleo, I've been looking for creative ways not to eat meat with every meal, and these veggie patties look like crispy perfection! These also seem like an ingenious way to have eggplant parmesan flavors without all the deep frying! It's so true Kari, they do taste a lot like eggplant parmesan. Now that I'm thinking about it, I should have called them "The Best Eggplant Parm Patties". Well, too late now for that! Love how simple this recipe is Mike, they look amazing and seriously may just be the best. On my to-do list this summer. Have a great weekend! I am LOVING these! I never really know what to do with eggplant, other than plain grill it, make ratatouille, baba ganoush or eggplant parmesan. These patties look friggin' amazing, and I happen to have not one, not two but THREE eggplants sitting in the fridge. One of 'em just found its purpose! You are such a snooty brat, Mike! But you know what? I would trust anything coming from you labeled as "the best". Yup, that's how the wolfpack rolls. No questions asked. You say it's the best? Then it's the best. And I'll beat up anyone who tries to disagree. Nice job man...and of course the photography is amazing! I am totally a snooty brat David, I've been in denial up to know but it's about time I come clean. And since we're being honest here I think we should rename our wolfpack as "The Best Wolfpack!" Thoughts? I cooked your turkey burgers , wonderful on a bed of spinach. I will try these soon! Thanks for the recipes! That's fantastic Joanne, lemme know how you like these patties as well! Hah, I label recipes 'the best' all the time. I guess I am a brat though, so that makes sense. These look delicious! I usually just saute eggplant rounds, so I'm happy to have something else to try with it! I love the idea that these are sans eggs--what?--and can be made vegan--double what? I'm willing to buy your idea of "the best." And yeah, I don't use that term lightly, either. Thanks for sharing this! Superlatives should be never used lightly, but in this case it was justified. Never eaten eggplant patties before! These look so good and delicious! You should totally give 'em a try then; you won't be disappointed, I promise! I know that's not in your recipe, but I have some (organic, grass-fed, altruistic etc) "aubergine" puree sitting in the cupboard and will try your recipe with it. That's fantastic! I probably should have mentioned to use a non-stick pan/skillet. Thanks for reporting back Joanne! These were really good! Thanks for the recipe! I did have some difficulty getting the "dough" to be firm enough to form into patties by hand, even after adding some extra almond meal and refrigerating them. I suppose it has to do with the size of the eggplant you start with. But rather than adding a ton more almond meal, I gave up on the patty idea and just used an ice cream scoop to drop them into the hot skillet, then flattened them slightly with a spatula--it worked surprisingly well! Perfect patty shapes and maybe even slightly easier than pre-forming patties. Next time I think I will also let the eggplant puree cool a bit before adding the cheese because it started to melt while I was stirring it all together. These were tasty and easy, and I will definitely be making this recipe again! Amy, using the ice-cream scoop is a brilliant idea. I'm definitely going to try it myself and maybe even add it to the recipe directions as a suggestion. I love that you thought on your feet and came up with such a great solution. Awesome! I also think that letting the eggplant puree cool a little bit is smart thing to do - although the cheese is supposed to melt in order to work as a binding agent. Thank you so much for your precious feedback and have an awesome day! I had my doubts about these being the "best" but tried them anyways. They live up to the name and more! Seriously, amazing!! Can't wait to make them again! I bet these would be good with some Lebanese/Middle Eastern spices added and dipped either in yogurt or a tahini sauce like falafel :) I love eggplant and always looking for new ways to eat it! I look forward to give those a try anyway! I don't know about cups ,but a large eggplant (the purple one) should weigh about 1 pound or 453 grams. These were delicious! I used the ice cream scoop idea and it worked perfectly. It was a #20 but these would be wonderful using a #50 to make little appetizers for a party. So easy to make and they can even stay nice and warm in the oven until guests arrive. So glad I found them! That's fantastic Elizabeth, I'm so happy you enjoyed them so much! Looove eggplants! How'd you make your patties look so even? Did you use rings? Nope, but I played with Play-Doh a lot as a kid...so I'm quite good at shaping! what about using feta instead of cheddar? The problem I have with feta is that it doesn't melt that much, hence I don't know if it will act as a binding agent as cheddar does. These look great! Does the almond meal add to the flavor of these? I only have plain bread crumbs and wanted to substitute. Would regular breadcrumbs work? Almond flour definitely adds flavor, but you can sub it with regular breadcrumbs. It'll work just fine! Looks fantastic! Is there anything I can sub for the cheese? 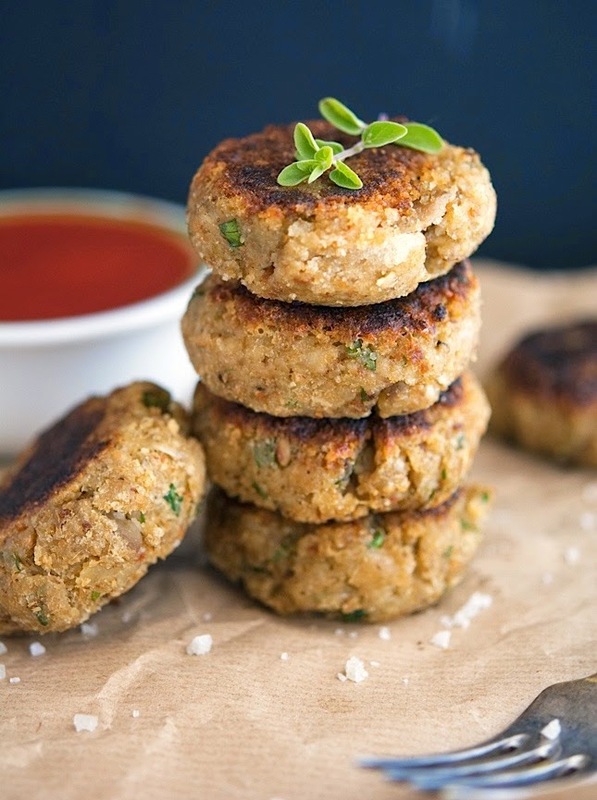 MIke, I LOVE EGGPLANT...so I was super excited for this recipe...they are very tasty but mine came out very sticky in the middle and not like a patty....Any suggestions on what I can do to firm them up? I love it! I'm cooking it just now to dinner! Just made these! Absolutely delicious and so easy to make! I will be making these again, and again. Made these for the first time today. The flavor is great but mine are very mushy in the middle. Any suggestions? Did I not add enough almond meal? How much almond meal do people usually use for this? I used probably 1 & 1/4 cup. Ok, so I've figured out that you cannot eat these when they are piping hot out of the pan (or microwave when re-heating) because they will be mushy. But if you let them sit for a few minutes or longer they will start to firm up a bit. Very tasty! Ummmm, I just made these for my whole family and they were the bomb-diggidy!! Thank you for this awesome recipe! Served it on Daves killer Good seed bread with veganaise tomato and avocodao. In heaven. Made this tonight and they were very good, and are all gone!. My whole family enjoyed these. I used Tillamook sharp cheddar and guyree cheese. I also made a few with fresh jalapeno ring stuck in the center of the Pattie and those were most delicious as well. I also had some truffle salt so I put some salt on some of the parties which added another level of goodness. Will make this again and again. Thank you! That's awesome Brooke, I'm so glad you're enjoying my recipes! I made these the other day and we loved them! Saved to Favourite Recipes board! I experimented with coconut and olive oil and found the coconut oil fried them better; they were crunchier on the outside and firmer in the middle, possibly because the heat was higher. Thanks for sharing the recipe, Mike. I'm going to make a buttload of these tomorrow as I have way too much eggplant still in my garden. I'm hoping they will freeze well.